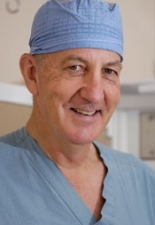 A Kelowna-based thoracic surgeon who has improved healthcare not only in the Okanagan and B.C. but also in some of the most remote areas of Zambia, Africa, will soon be formally recognized for his work in building bridges between UBC Okanagan, the community and the world. On Oct. 28, UBC alumnus Dr. Bill Nelems will receive the inaugural Okanagan Alumni Community Builder Award, presented at the first-ever Alumni Endowment Fund Gala. The event is a UBC alumni-driven fundraiser to assist later-year UBC Okanagan students in need of financial help. Nelems, who leads Canada’s largest telemedicine program, has been instrumental in improving health care delivery throughout B.C. As a volunteer he has also been very influential in establishing high-level government and university connections within Zambia, leading to new opportunities for UBC students and faculty to work on crucial health research. Current projects include the implementation of telemedicine systems and establishing training for health care teams in remote rural regions of Zambia. At the award presentation, Nelems will talk about his passion for giving back, and the role it plays in his life. The evening also features talks by renowned UBC Okanagan researcher Mark Holder, on what makes people happy, and UBC Chancellor Sarah Morgan-Silvester, on her own path as a volunteer and her evolving relationship with UBC. Morgan-Silvester, a past winner of Canada’s Top 40 Under 40 Award, serves as chair of the Vancouver Fraser Port Authority and the B.C. Women’s Hospital and Health Centre Foundation. She is also a director of ENMAX Corporation, the CD Howe Institute, and Women in the Lead Inc., as well as a member of the David Suzuki Foundation National Business Advisory Council. At 48, she is the youngest person and only the second woman to hold the position of UBC Chancellor. The Alumni Endowment Fund Gala, which includes a plated dinner, takes place on Oct. 28 from 6:30 to 9:30 p.m. at the Coast Capri Hotel in Kelowna. Tickets can be purchased online and are $100 per person or $1,000 for a table of 10 (may include two students) with sponsor recognition. Table purchases close Oct. 23.